Synopsis: A tramp sneaks into a upper class golf resort. The tramp meets a rich woman who is having an argument with her drunken husband. Complications arise when she mistakes the tramp for her husband. Charlie Chaplin plays a dual role in The Idle Class, with his familiar Little Tramp mistaken for a wealthy but forgetful — and neglectful — socialite husband. He’s married to Edna Purviance (The Immigrant, Shoulder Arms) who, as in so many of Chaplin’s movies, is given very little to do other than to look attractive, which she does with grace and ease. It’s no wonder that the Tramp is instantly smitten, but of course their differing social statuses means he has no hope of getting to know her — until, that is, he crashes a fancy dress party she is attending, and his shabby garb is mistaken for a costume. Before then, though, Chaplin enjoys a spot of golf, even though he possesses no golf balls. He remedies this apparently insurmountable problem by pretending not to notice as he repeatedly ‘accidentally’ kicks away another golfer’s ball. The Tramp then goes on to make this poor chap’s life hell for eighteen holes as another golfer mistakenly believes that he’s the culprit behind Chaplin’s antics and isn’t shy about issuing a number of thrashings when angered. Meanwhile, the wealthy husband is having a bad day. He forgetfully left his hotel room without his trousers before discovering that his wife had left him, and then found himself stuck inside his suit-of-armour fancy dress costume with a helmet visor that stubbornly refused to open. 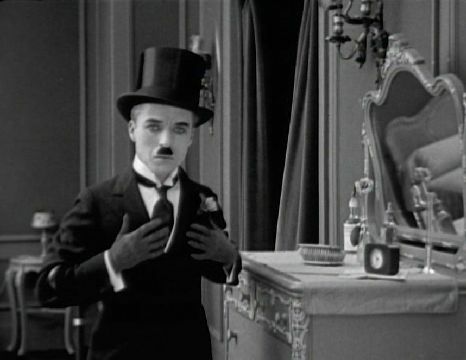 The Idle Class is a reasonably amusing Chaplin short, which is notable for his appearance as a character other than The Little Tramp (or a variation thereof). In fact, apart from the Tramp’s hapless attempt to pilfer another golfer’s ball, it’s the wealthy husband who gets the biggest laughs. 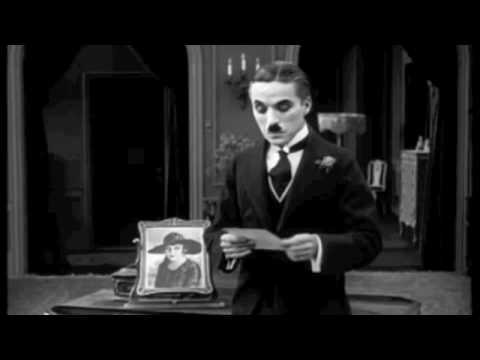 Minor Chaplin, then — but still worth a look.